Eight beef purveyors. One blind taste test. Who wins? Cooking steak doesn’t have to be complicated. All a man needs is a hardy pan, a glug of oil, salt and a quality piece of beef. As for which piece of beef? Now that’s where it gets complicated. 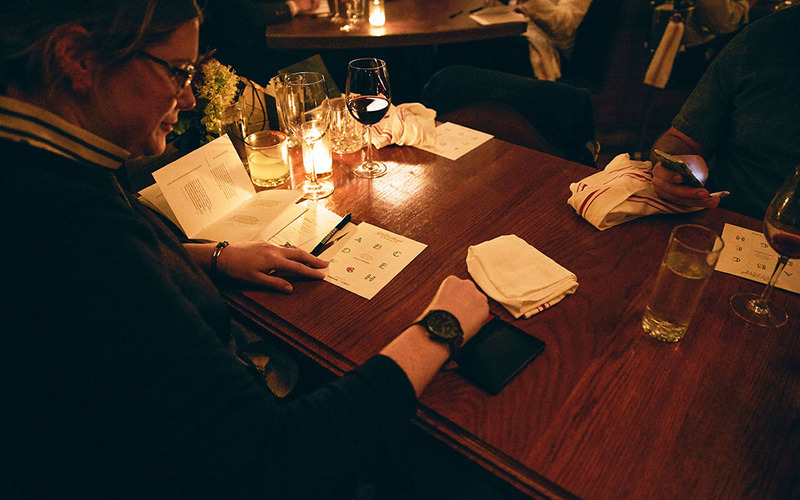 Which is why, — with the help of our friends at Timex — we invited eight of the country’s leading mail-order red-meat purveyors to Manhattan’s Bowery Meat Company for a blind taste test. Our goal? To figure out which ones you should have delivered to your kitchen. The chef behind this operation? The talented and amicable Josh Capon. And the hungry, beautiful diners over which he presided? 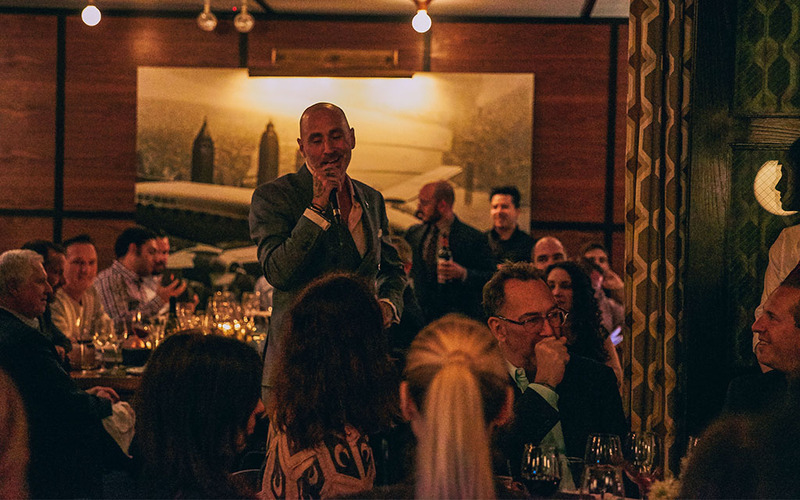 Ninety of our readers, along with a Judges’ Table that included Tasting Table Editor Jane Frye, writer Jason Diamond and the man behind New York’s most famous burger club. We ate, drank and debated. Then we all cast our votes. 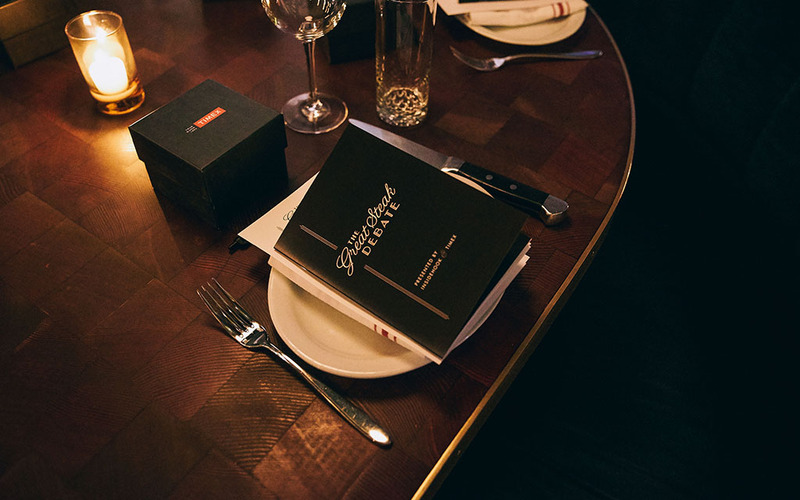 By night’s end, two prizes — a Judges’ People’s Choice — were awarded. 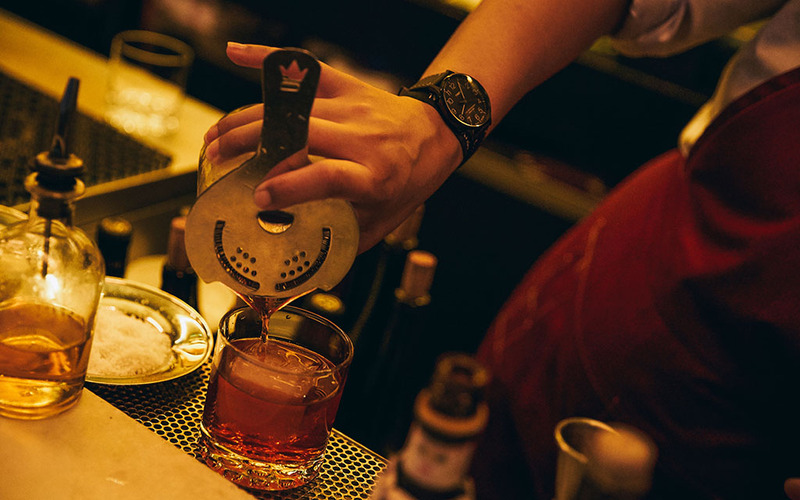 But there’s no one winner here: we heartily recommend each of these purveyors. If you order them online — and you should — you will be happy. Consider them the eight best mail-order steaks your money can buy — along with the two that really stood out. “Heritage” is a word that gets thrown around willy-nilly these days. Timex, on the other hand, has the bona fides to back it up. The latest in their storied line? The Waterbury Classic, an ode to the Connecticut town where it all began in 1854. It’s a textbook example of clean, pure and rugged watchmaking, wrapped up with a timeless stitched leather band. Their story: Holding court with the Corn Belt’s best beef purveyors gave Vincent Pacifico an idea: Why not ship it direct to consumers? So he built a state-of-the-art dry-aging facility where the steaks hang for at least 28 days before being hand-picked, custom-cut and then shipped overnight. Specialty: Bone-In Cowboy Ribeye. Two 32 oz. cuts with extra bone and fat to trap the juices. Great for an outdoor grill or under a broiler. Their story: One of the most reliable names in American beef since opening their doors in 1932 (backed by a 100% guarantee). Rich, flavorful beef sourced from the premier stockyards of Kansas. Besides steaks, offerings include roasts, steakburgers and a host of traditional KC BBQ-ables. Specialty: Their corn-fed Kansas City Strips, wet-aged for 28 days for a consistently bold and juicy finish. Their story: Happy centennial, gents. 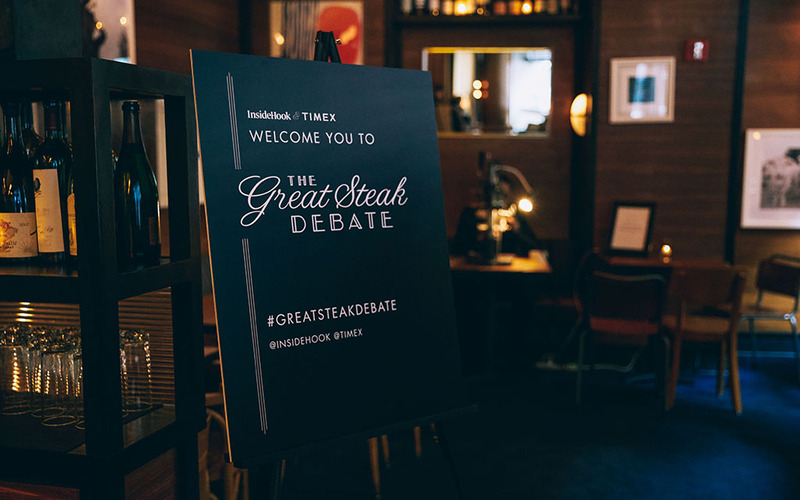 Winners of our first Great Steak Debate in 2013, Omaha Steaks is a fifth-generation, family-owned shop that specializes in grain-fed, naturally aged steaks. All their steaks are “flash frozen” ahead of delivery — a seldom-seen practice that locks in the peak freshness and flavor of every cut. Also, great Father’s Day options. 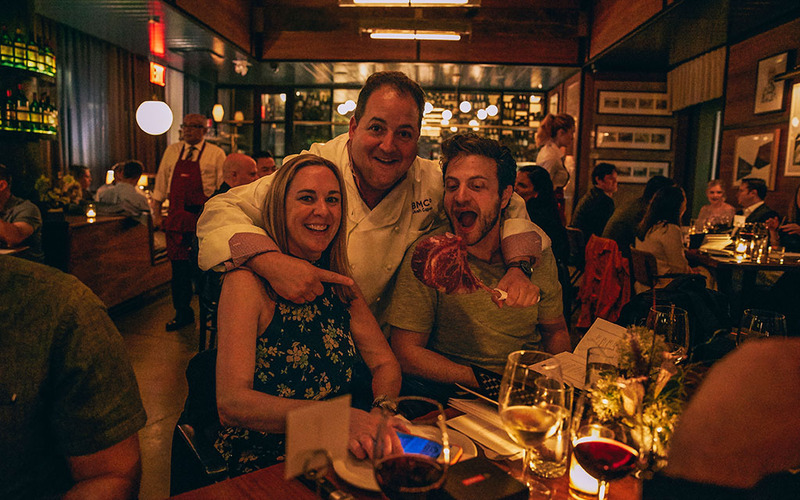 Their story: Main Street supplies some of the top hotels, restaurants and private clubs in the Tri-state area with hand-selected, USDA Prime beef. All cuts are aged 35 days in one of their custom, on-premise dry-aging rooms for a nuanced, beefy flavor. Fun fact: Main Street’s own Lee Seelig happens to be the author of a children’s book called I Love Going to the Butcher. Specialty: Long-Bone Tomahawk Steaks. Bone-in rib (“emphasis on the bone”) with intense flavor … and intense presentation. 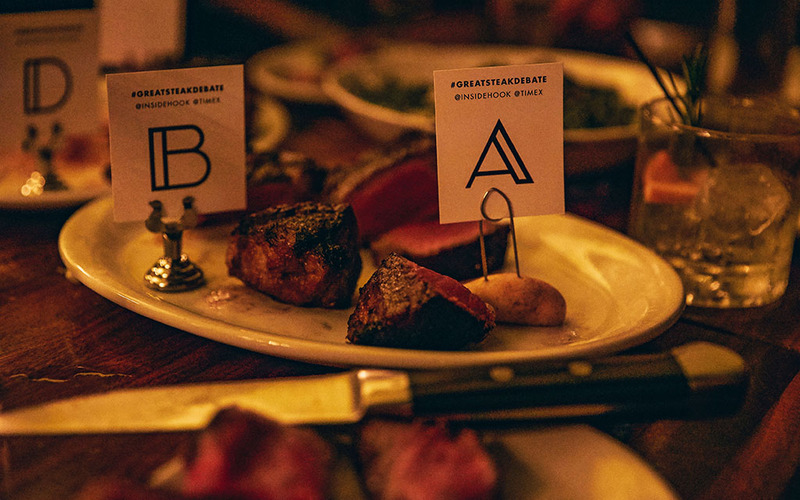 Their story: This New York-based family of “meat connoisseurs” has been a longtime supplier of the wet- and dry-aged prime USDA Angus beef for the likes of Peter Luger’s, Keen’s and Wolfgang’s—you know, the perennial “best U.S. steakhouses.” Each cut on MP’s new site comes with an aging history, thorough product description, preferred cooking method and tasting notes. Specialty: Dry-aged porterhouse. You get the best of both worlds: filet on one side of the T, strip on the other. Enough to feed the family — or one man on a very delicious dare. Correction: An earlier version of this article incorrectly named Master Purveyors as the winner of the Judges’ Choice award. 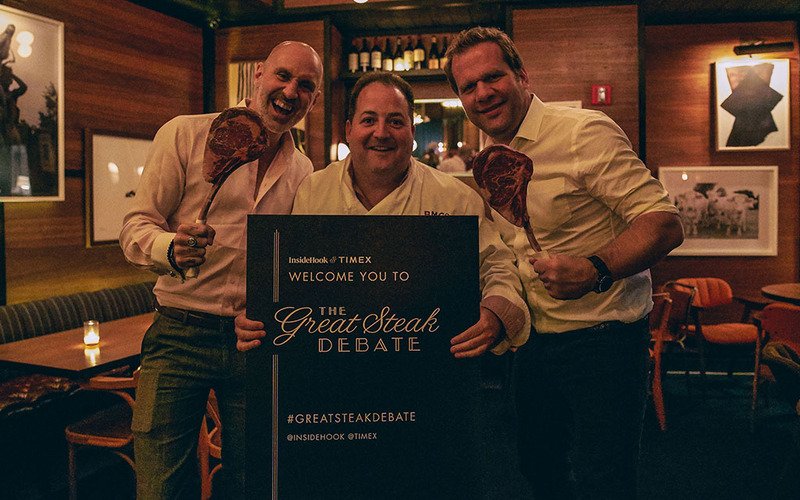 Master Purveyors won the grand prize People’s Choice award, however, at the Great Steak Debate Chicago. Their story: The 100% grass-fed beef from Greensbury Market offers greater nutritional value than its grain-fed counterparts. Read: more Omega-3s and fewer saturated fats without compromising flavor. They pride themselves on sourcing their meat from “sustainable, American, family-owned farms” where cattle graze together on open, clean pastures. Specialty: Filet mignon. Organic, grass-fed, hand-trimmed and wet-aged for 21 days. Naturally flavorful. If you’re daring, try cooking it sous-vide style. Their story: Family owned and operated in the heart of the Rockies, Crystal River’s goal is to “sustain the earth through creating healthy food.” Every stage of production — from growing the hay to butchering the animals — occurs within a 200-mile radius of Carbondale. 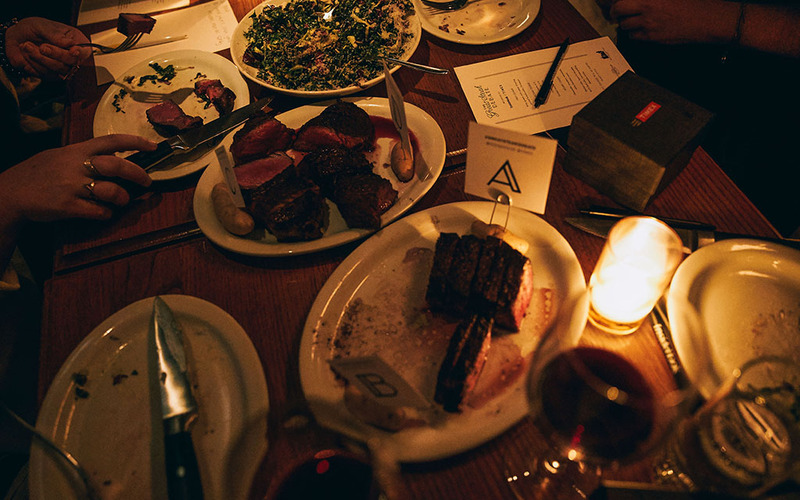 Their beef is 100% grass-fed and dry-aged for 15 to 21 days for a tender, savory finish. Specialty: Tenderloin. A compact beef cut with a buttery texture. Pair it with a spicy blue cheese topping. Their story: If it’s red, marbled and used to go “moo,” you’ll find it at Chicago Steak Company. Every steak is aged 4-6 weeks and individually numbered and registered to ensure the utmost quality. Don’t sleep on “Coach Ditka’s Favorites,” a collection of premium meats handpicked by Iron Mike himself. Specialty: Boneless strips. Richly marbled, hand-cut, premium Angus beef, in 10-20 oz. varieties.